These are one-day 6-hour Pesticide Training Classes. This class is designed to be used in lieu of 40 hrs of on-the-job training. In addition, you must also take a Basic Pesticide Training Class to be certified. Who MUST be certified in Categories 3A and 3B? * You MUST be certified if you are hired to treat Ornamental Beds and/or Lawns with Pesticides for insects. * You MUST be certifed if you are hired to treat Cracks and Crevices with EPA Registered Weed Killer such as RoundUp, etc. * You do not need to be certified in 3A and 3B if you JUST apply Fertilizer. To learn about the Professional Fertilizer Applicator Certification, please go to the Professional Fertilizer Applicator Certification and Training website. Checking your NJDEP Credits is Easy! Make more $$$! Offer your customers more! 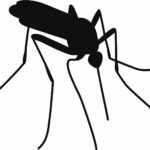 Become NJDEP Certified in Category 8B Mosquito / Tick Pest Control - Click Here to Learn More! Contact us about our Basic Pesticide Training / CORE and Category 3A & 3B Private Classes. We will train your staff at your office when its convenient for you! Days, Evenings Weekends.